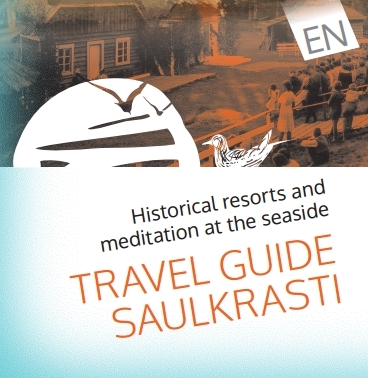 Travel guide "Historical resorts and meditation at the Sea"
You can walk around Saulkrasti in a day at a leisurely pace. If you choose the small circle (5 km),you will have time to see ten historical objects and enjoy a refreshing swim in the sea at the old Neibāde beach. The large circlespans 14 kmand is the right choice for active walkers and cyclists. Neibāde on the way, you can visit all 15 objects featured in this travel guide. 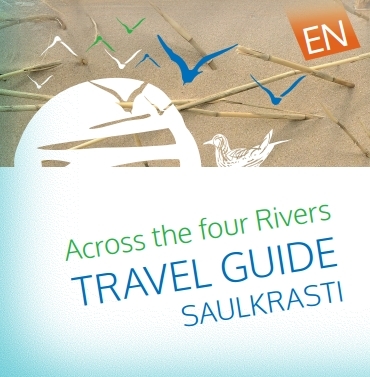 Travel guide "Across the four Rivers"
The large coastal territory is only a part of what Saulkrasti has to offer. Zvejniekciemsand Bādciems – joining together. Visit the wild beaches! Watch the colourful sunsets and greet the crisp mornings from the top of the 18 m high White Dune. Download the map in pdf format here! From Gauja to Salaca with the historical testimony entwined in the Hanseatic town of Limbaži, following the Livs' footsteps all the way to the Latvian-Estonian border city Ainaži – you're a welcome guest at the Vidzeme coastline! We offer you a chance to discover Latvia anew through the culturally historic and natural heritage of the Vidzeme coastline. Along the Vidzeme coastline everybody can find something of interest and appeal. 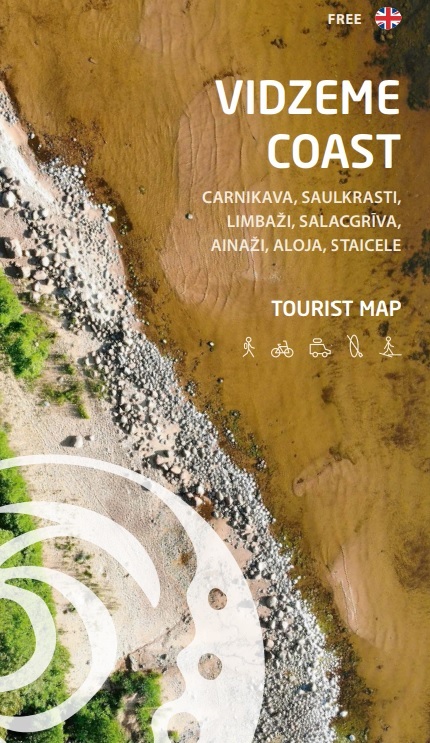 Paperback map available in Vidzeme tourism information centres! Saulkrasti information in sections Nr 26 and 27. Vidzeme is one of Latvia's cultural and historical regions. It is in the Northeast of the country and has a border with Estonia. The beauty of Vidzeme relates not just to the wonders of the local environment, but also to the diversity of the region's cultural heritage. Vidzeme is continuing to put together its cultural history. We can see it with our eyes, perceive it through sounds, and feel it through tastes. This map offers a look at just a small part of the cultural heritage of Vidzeme to the traveller. Many of the destinations are well known – cities and their historical centres, Medieval castles, churches, estates and museums. Others are new or less familiar. We hope that everyone will find a new and unique jewel of culture in Vidzeme. The cycle routes of Vidzeme coastline passes through picturesque scenes and a wide varietyof natural objects. There are high sand dunes and sandstone cliffs, stony seashores and the distinctive Randu meadows. On the way you will visit several unique nature areas: Piejūra (Seaside) Nature Reserve, North Vidzeme Biosphere Reserve, and the most beautiful rivers in Latvia and districts with characteristic heritage. Vidzeme will be enjoyed not only by those who like popular holiday areas, but also those who are looking for remote beaches and fishingvillages. Everyone who takes the exciting cycle journey will find food and accommodation in one of the cozy guest houses, hotels or camping sites. Bike stands and tourist information are mainly located at landmarks, accommodation and cafés. There are bike rentals and repair shops in the largest cities. You can download the map in pdf format here! The map and Brochure has been published thank to CentralBalticCycling project. 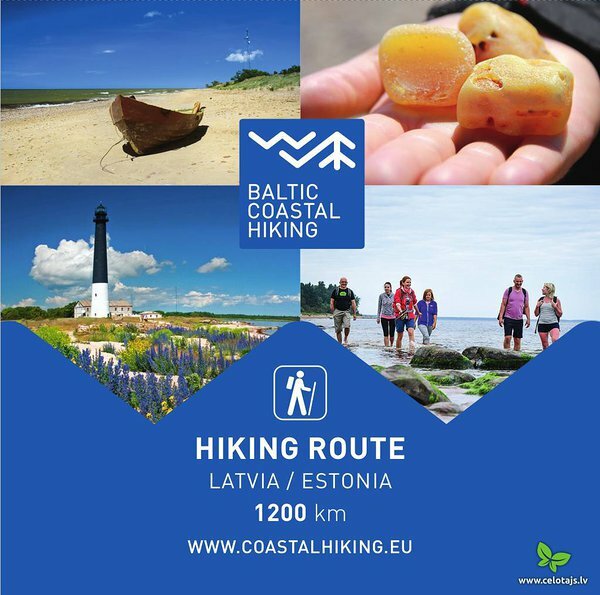 With this hiking map discover Latvia anew through the culturally historic and natural heritage of the Vidzeme Coast. 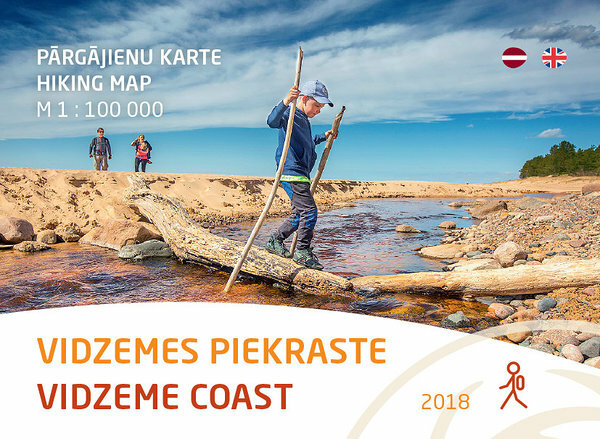 Vidzeme Coast will be enjoyed not only by those who like popular holiday areas, but also those who are looking for remote beaches and fishingvillages.